Type or select the amount of memory that can be used by the application. You can type any amount here, you are not limited to the default selections. 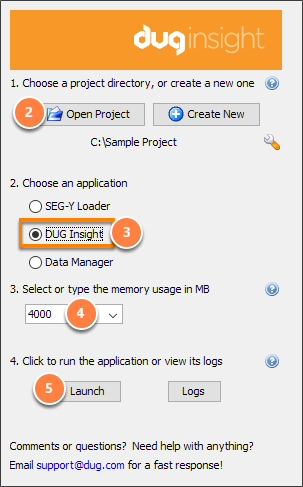 The SEG-Y Loader does not require much memory. The default 200 MB is recommended. Tip: Click the Help icon at the bottom of the window to read the help information as you go through the steps.